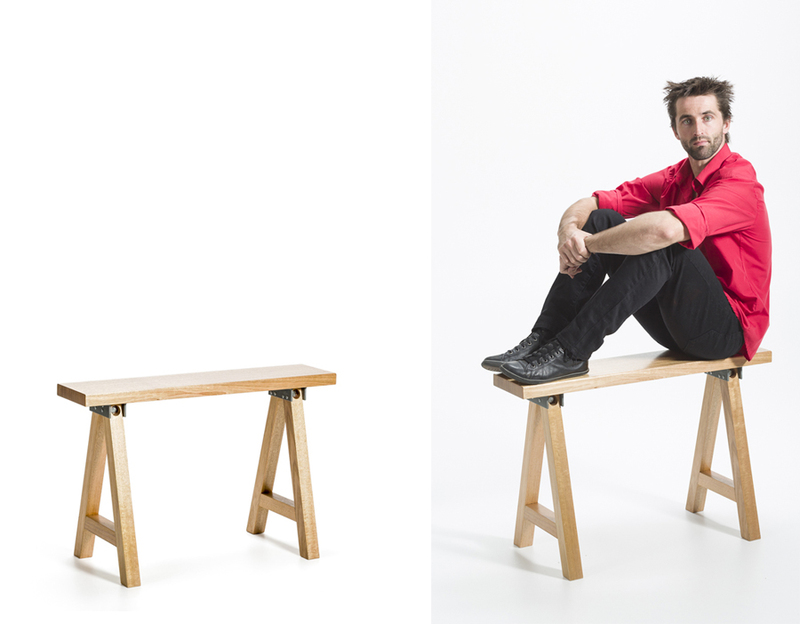 In a recent Noddy Boffin photo shoot, I was fortunate to have the acrobatic services of Joshua Phillips to stand in, or more appropriately handstand in, as model for a new series of bench seats. 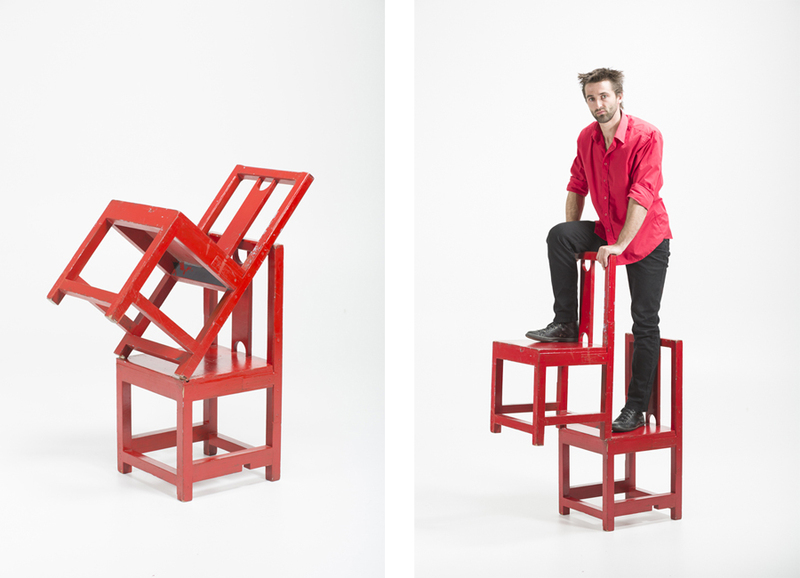 Not only is Josh a circus performer who has completed a diploma of circus arts in New Zealand and trained at the National Institute of Circus Arts, he is also an enthusiastic and talented product designer and maker, operating out of his studio in Melbourne. Josh studied at the Australian National University School of Art in the Furniture / Wood Department, in which a preference and specialization in timber manufacturing was acquired. See pictures below of Josh’s most recent projects. Set of red balancing chairs, a recent restoration commission. 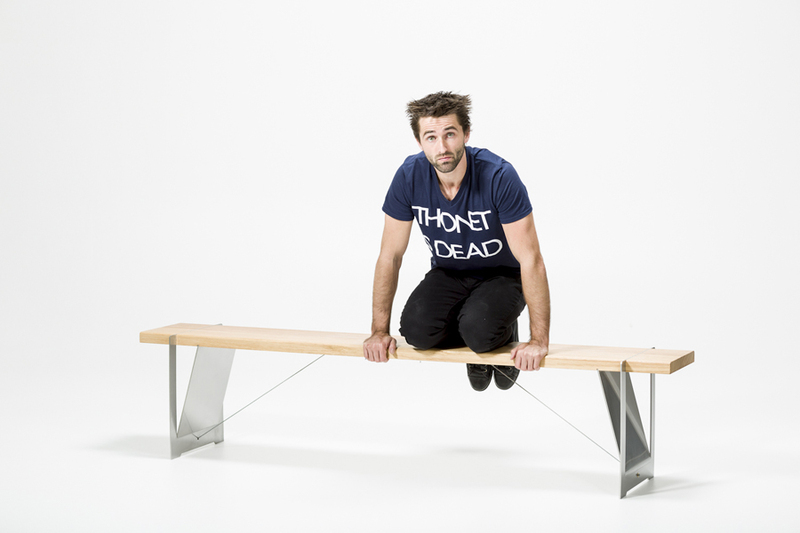 Hand stand bench, which has been developed to disassemble for touring purposes. Where can I purchase a balancing chair from him?